Penalty enhancements for driving while intoxicated in Missouri come in a two forms: increased punishments for those accused of driving with higher blood alcohol content (BAC); and increased penalties for prior or repeat offenders. The revised statutes of Missouri (rsmo) describe the current laws and penalties for each of the repeat offender categories. It is crucial to understand that under the laws, any prior “intoxication-related traffic offense” can trigger these enhancements. This includes a prior admission of guilt or conviction of excessive BAC, and/or of a DUI, and/or of certain drug charges, and/or of certain assault charges related to driving. However, to use enhancements against the accused, the prosecution must prove in court beyond a reasonable doubt that the defendant warrants enhanced status under the law. Under rsmo §577.023.2 a “prior offender” is a person who has pleaded guilty to or has been found guilty of one intoxication-related traffic offense, where such prior offense occurred within five years of the current intoxication-related traffic offense for which the person is charged. A “persistent offender” is a person who has pleaded guilty to or has been found guilty of two or more intoxication-related traffic offenses; Or a person who has pleaded guilty to or has been found guilty of involuntary manslaughter, assault in the second degree, and/or assault of a law enforcement officer in the second degree, who has also been proven to be a prior offender. Has pleaded guilty to or has been found guilty of one or more intoxication-related traffic offense and, in addition, any of the following: involuntary manslaughter under subdivision (2) or (3) of subsection 1 of section 565.024; murder in the second degree under section 565.021, where the underlying felony is an intoxication-related traffic offense; or assault in the second degree under subdivision (4) of subsection 1 of section 565.060; or assault of a law enforcement officer in the second degree under subdivision (4) of subsection 1 of section 565.082. A conviction as an aggravated offender DWI is a Class C felony with enhanced penalties of up to 7 years in the Missouri Dept. of Corrections. A minimum of 60 days incarceration is required with no community service alternatives. A person who has pleaded guilty to or has been found guilty of, on two or more separate occasions, any combination of the involuntary manslaughter, murder in the second degree, assault in the second degree and/or assault of a law enforcement officer as stated above under Missouri DWI aggravated offender status. The court can also find for chronic offender status if 2 or more convictions arose from the same DUI event. While it may have felt like it at the time, a drunk driving arrest is not a conviction. There are many defenses and legal strategies a strong advocate and DUI lawyer can utilize in your case to prevent enhancements and even have all charges against you dropped. 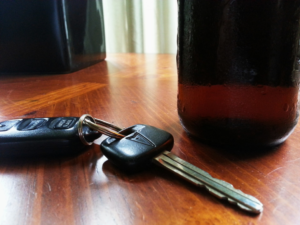 Contact Norton Hare now to consult with one of our experienced Missouri DWI attorneys.